International Employee Travel Security firm, IMG GlobalSecur, has recently updated its website for FoneTrac, the next generation of travel security technology. 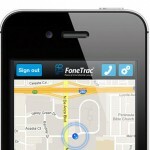 FoneTrac is an app for iPhone or Android that is simple, intuitive, and easy to use. It allows businesses to stay connected to their employees traveling internationally, helping ensure employee travel security by providing a lifeline in the event of an emergency. Although it is suitable for users everywhere, this travel security app is specifically designed to meet the needs of global firms seeking simple and effective travel security solutions for an employee or executives traveling overseas. Global Monitoring – FoneTrac monitors the locations of international employees / travelers and provides travel security alerts if there is an incident that could affect personal safety. If the situation is serious, the command center can arrange local support for persons in need. Panic Alerts – This employee travel security app is capable of sending panic alerts anywhere there is Wi-Fi, Cellular, or SMS reception. These alerts provide security specialists with the location of the distressed traveler, allowing them to respond quickly and effectively. Check-In – The FoneTrac travel security app provides an easy-to-use check-in feature that allows the traveler to periodically confirm that they are safe and do not require assistance. If required, this feature can be set to remind travelers to check-in daily. Non-Emergency Assistance – In addition to providing travel alerts and protecting against emergencies, this employee travel security app also provides non-emergency assistance. Through FoneTrac, users can connect automatically to travel security experts that can provide assistance. To learn more about FoneTrac’s features, including travel alerts, please visit http://www.fonetrac-go.com/employee-travel-security. IMG GlobalSecur is a leading international employee travel security firm, with considerable experience in employee travel monitoring and travel security. Corporate or business organizations concerned about their need for international travel safety expertise can reach out to IMG GlobalSecur for assistance. The company’s expert security consultants provide services such as employee travel security, VIP / executive travel security, employee overseas medical assistance, and more. Please contact us for more information regarding the FoneTrac Employee Travel Security App.